Address: 192 Thap Phraya Road Soi 7, Phra Tamnak Hill, Pattaya, Thailand. I stayed at the Hotel Zing in Pattaya. I was already in Pattaya and when I arrived I discovered that the hotel I booked had closed down. 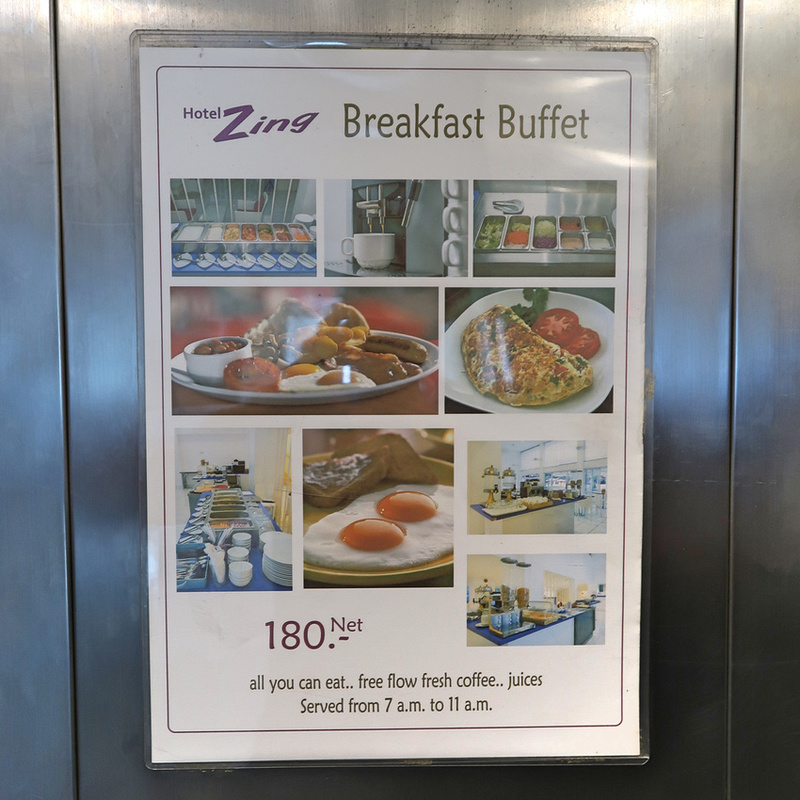 I went to a cafe to look for a last minute booking, and Hotel Zing was available. 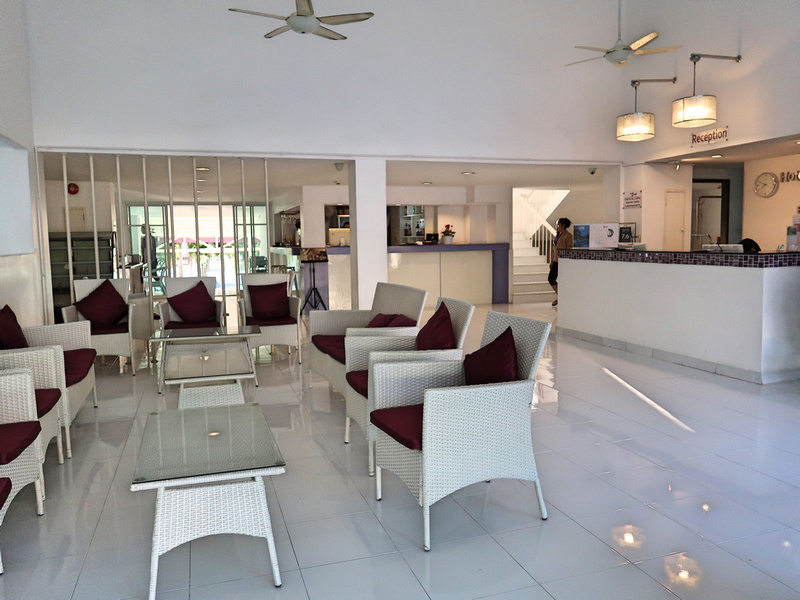 I have previously stayed at hotel Zing in Phnom Penh, so I didn’t even read the reviews for this as I liked my previous experience. 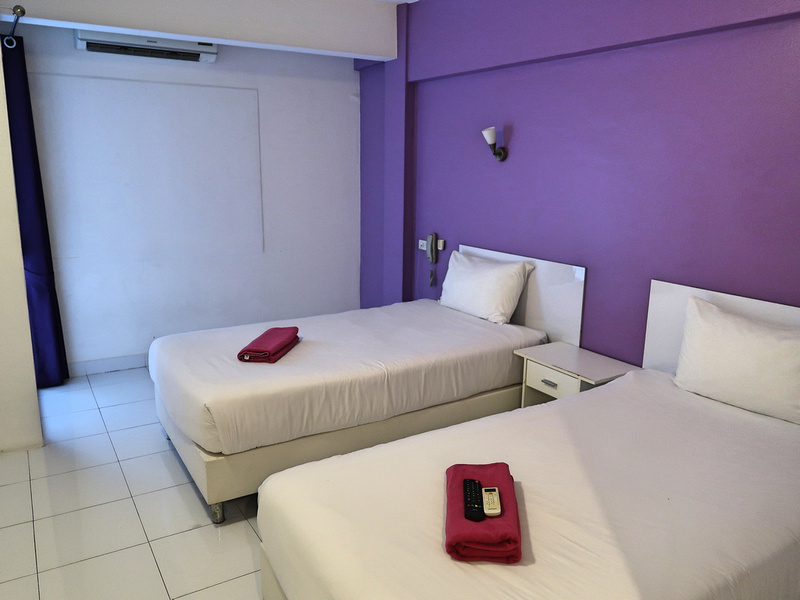 Hotel Zing is a budget hotel chain with distinct white and purple branding. The reception is spacious and the bright white minimalism adds to the sense of space. I got a twin room, air-conditioned, private bathroom. The bed was comfortable, though it would have been handy to have power outlets next to the bedside table. 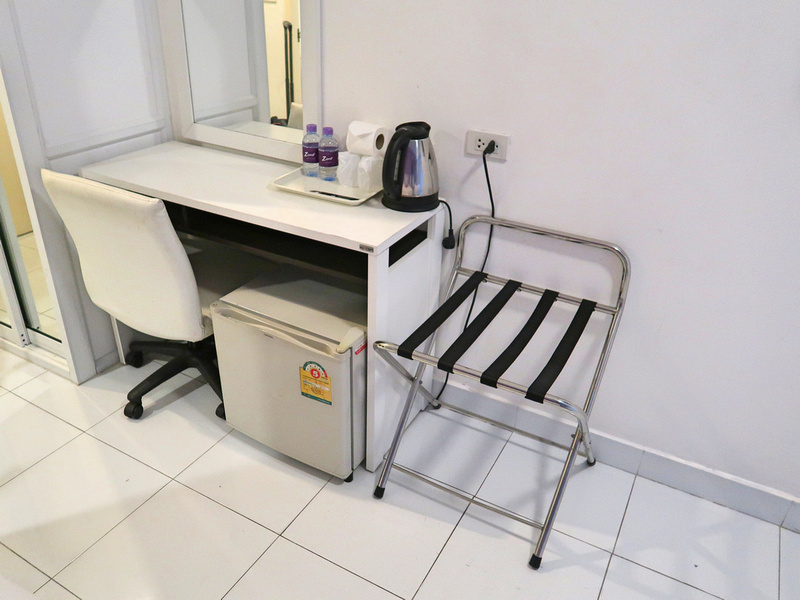 A useful work desk with tea and coffee making facilities. There is free wifi available throughout the hotel property, and I had a good connection throughout my stay. 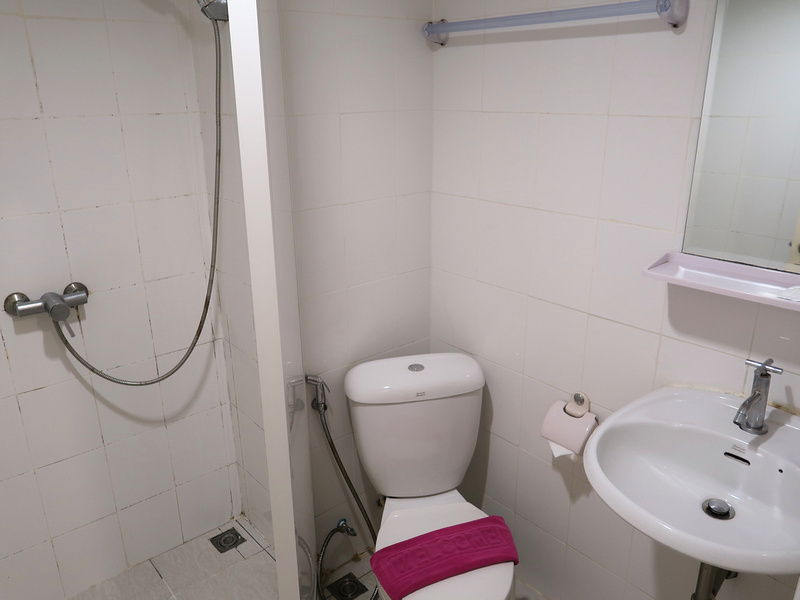 The bathroom was clean and bright, with a good hot water service and space to put toiletries. There is an all-you-can-eat breakfast buffet available, which I passed on. 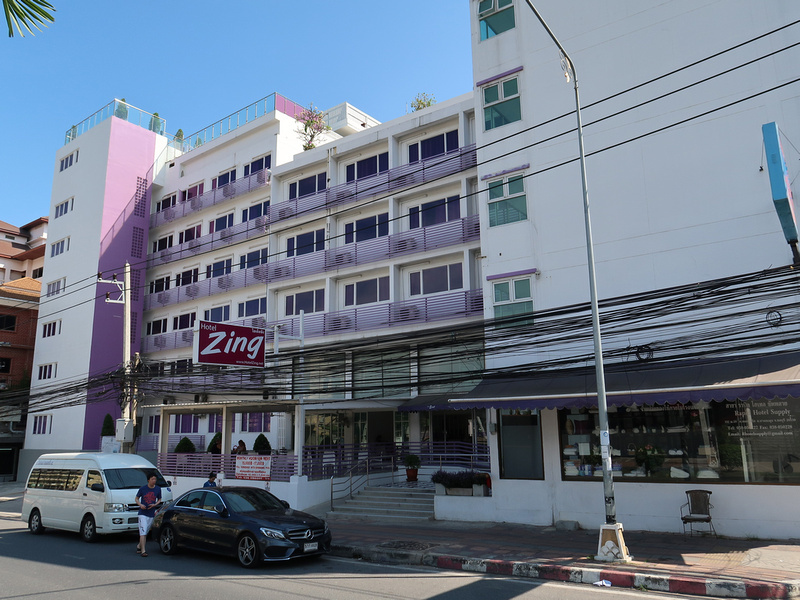 Hotel Zing is on the road on the hill between Pattaya and Jomtien Beach, and about 20 minutes walk from the walking street. It’s probably a bit far from the action if you are here for the nightlife, but the location was no problem for me. Overall this was a good hotel option in Pattaya if you aren’t here to party. I would also consider them for Jomtien Beach, where they have another two hotels. 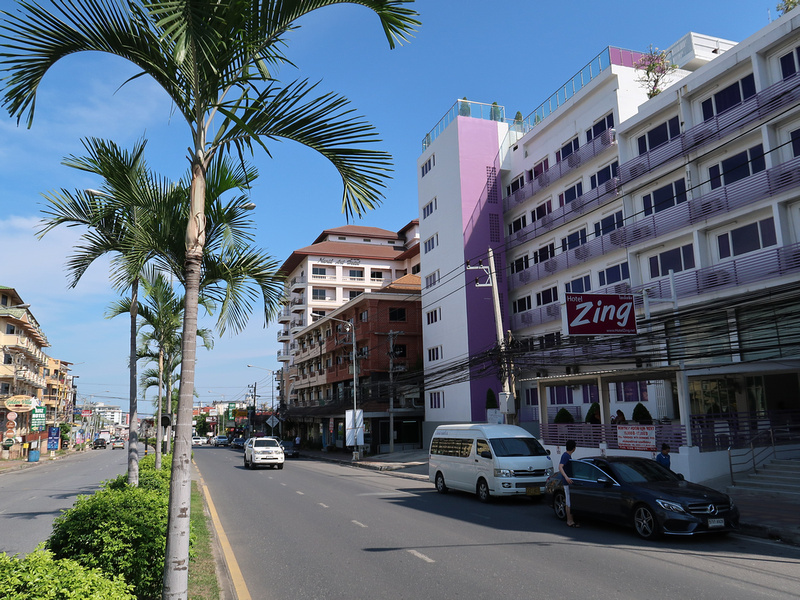 Book the Hotel Zing online or search for more hotels in Pattaya.